A division bench of Justices SC Dharmadhikari and BP Colabawalla was hearing petitions filed by family members of rationalists Narendra Dabholkar and Govind Pansare. The high court said by disclosing information to the media, the police were alerting the accused. 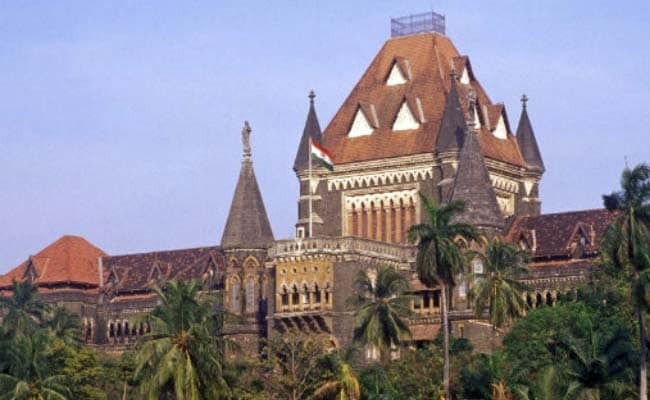 The Bombay High Court today came down heavily on the Maharashtra Police machinery for revealing information to the media about sensitive cases, saying such "over-enthusiasm could be fatal". A division bench of Justices SC Dharmadhikari and BP Colabawalla was hearing petitions filed by family members of slain rationalists Narendra Dabholkar and Govind Pansare, seeking court supervision in probes being conducted by the CBI (in Dabholkar case) and the state CID (in Pansare case). The bench, after perusing reports submitted by both the agencies on the investigation, said everyday there is vital information leaked to the media by probe agencies. Referring to the press conference of senior IPS officer Parambir Singh along with Pune Police officials last Friday on their case against some activists arrested for alleged Maoist links, Justice Dharmadhikari said, "There is so much hue and cry about this media briefing and disclosures made." During the press conference, Mr Singh had read out letters purportedly exchanged between the arrested activists. He claimed the police had "conclusive proof" to link Left-wing activists arrested in June and last month to Maoists. "This over-enthusiasm could be fatal. In such sensitive cases where the investigation is in crucial stages, it is not advisable for police to rush to the media. This shows total lack of maturity," Justice Dharmadhikari said. The court said by disclosing information to the media, the police were alerting the accused persons. "Such self-praise and self-patting on their backs by police machinery is not advisable. We see daily there is information in the press regarding such sensitive cases. At whose instance is information being given to the media?" Justice Dharmadhikari said. The court asked Additional Solicitor General Anil Singh, appearing for the Central Bureau of Investigation (CBI), to convey to senior police officials concerned that it is not happy with the press conference. "Ask those police officials, who took the media briefing, to go to the trial court and see how difficult it is to prove a case against an accused person," Justice Dharmadhikari said. CID counsel Ashok Mundargi told the court that the probe agency has not taken any press conference till date on this case. "Our investigation is on. We are now waiting to interrogate two persons arrested by the CBI in the Dabholkar case," Mr Mundargi said. The court said the state Crime Investigation Department's (CID) probe should not come to a standstill just because it is waiting to interrogate the accused who are in CBI's custody. "Do not abandon your (CID) past theories. The CID should continue to look into the involvement of other accused persons too. Both the cases (Dabholkar and Pansare killings) have different repercussions," Justice Dharmadhikari said. The bench posted the matter for further hearing on October 10. On that day, both the CBI and the CID will have to submit fresh progress reports. Narendra Dabholkar was shot dead on August 20, 2013 in Pune while on a morning walk. Govind Pansare was shot at on February 16, 2015 in Kolhapur and succumbed to injuries on February 20. The high court had last month expressed dissatisfaction over the manner in which the CBI and the CID were probing the two cases. Last month, the CBI arrested two persons - Sachin Andure from Aurangabad in Maharashtra and Sharad Kalaskar from Nallasopara in Palghar district - and claimed that they had shot Narendra Dabholkar. In June 2016, the CBI had arrested Virendra Tawde, alleging he was one of the conspirators. Virendra Tawde is presently lodged in jail.